Full of energy, charisma and puns (and an impressively large repertoire of songs to suit all occasions), Darius is your piano man & he’s quick with a joke or to light up your smoke. 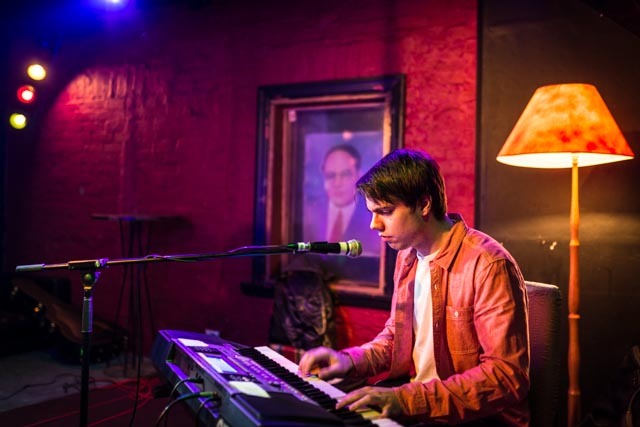 With an upbringing of primarily classical music – generously seasoned with the golden pop/rock tunes – Darius has been playing piano for 19 years and has attained his Certificate of Performance. He has a Bachelor of Commerce degree under his belt and is currently working towards getting his CPA whilst job hunting. Having played Open Mics on and off for a couple of years now, Darius feels that they’re a great opportunity to express himself in a very understanding and inviting atmosphere where everyone’s in the same boat. He recalls one particular embarrassing experience when he performed at an interstate talent show and he had a complete mental blank on a jazz piece he had only just begun to play. He stopped, turned to the audience and said “I’ll start that again”. Thankfully the second time through he aced it! You can catch Darius performing red-handed at the Great Britain Hotel or (for the Lithuanians in the audience) at the Melbourne Lithuanian Club. In the meantime, jump on his Facebook group – Daz’s Random Fact/Joke of the Day – guaranteed to have you raising your eyebrows or rolling your eyes.. or both! 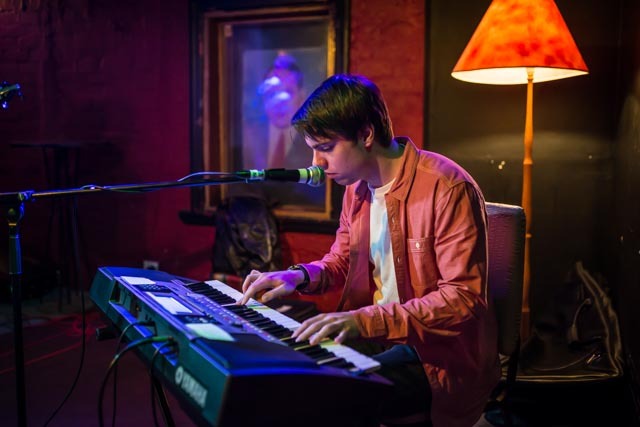 Tagged acoustic, acoustic live music, ambient, billy joel, blues, darius pranckunas, electric piano, free live music, GB, great britain hotel, heartstrings melbourne, Instrumental, keyboard, live, Melbourne, melbourne live music scene, music, open mic, piano man, pop, solo.